LocalOrg: What to do about Failed Education Systems? What to do about Failed Education Systems? November 28, 2012 (via AltThaiNews) For the Southeast Asian nation of Thailand, the results of the annual "Global Index of Cognitive Skills and Educational Attainment" are hardly surprising - and many of the conclusions drawn by the study's authors, while intuitive, seem to have been lost on the current ruling government in Thailand. What does the study tell us, and what can be done about chronically decaying education systems, not only in Thailand, but around the world? Image: Index Map of Cognitive Skills & Educational Attainment. Shown here are the cognitive skill survey results, based on scores in reading, math, and science. White represents Group 5, or the absolute lowest out of the 40 nations surveyed. The study's full results, published (here) on Pearson's website, score nations on educational attainment and cognitive skills. "Educational attainment" is based on "literacy and graduation rates." And perhaps more telling of a nation's overall education system and how it relates to its economic prosperity and stability is "cognitive skills," determined by PISA, TIMSS and PIRLS scores in reading, math and science. Thailand is ranked 35 out of 40, ahead of only Mexico, Columbia, Brazil, Argentina, and Indonesia. What many may notice about the top 10, is that they all, for the most part, are known as being highly industrialized and productive, with many placing heavy emphasis on advanced polytechnic education - which would benefit directly from high scores in math and science. 1. There are no magic bullets: The small number of correlations found in the study shows the poverty of simplistic solutions. Throwing money at education by itself rarely produces results, and individual changes to education systems, however sensible, rarely do much on their own. Education requires long-term, coherent and focused system-wide attention to achieve improvement. 5. Educate for the future, not just the present: Many of today’s job titles, and the skills needed to fill them, simply did not exist 20 years ago. Education systems need to consider what skills today’s students will need in future and teach accordingly. Thailand's scores on the respected international PISA test have remained almost static since 2003 whereas Indonesia, for instance, has been moving up from a lower base. In another recent competitiveness report Thailand ranked 54th out of 56 countries globally for English-language proficiency, the second-lowest in Asia. Clearly, the problem with Thailand's education has been one stretching back as far as 2003, with scores remaining stagnant ever since. And while Thaksin Shinawatra and his Peua Thai Party claim to be champions of the rural poor, their apathy towards improving the one metric in the country that could truly and profoundly lift the impoverished lower classes from poverty has been neglected woefully, or worse yet, exploited with cheap vote-pandering, populist schemes like the "one tablet per child" campaign. Neglecting education is particularly harmful, especially for developing nations. It leaves vast swaths of the population uneducated, uninformed, incessantly dependent on unsustainable government handouts, and resigned to a lifetime of menial labor in the service of exploitative employers. Despite Thailand's vast natural resources, it lacks the skilled labor and local entrepreneurship necessary to use them to develop the country, inviting foreign multinationals to do it for Thailand, and of course, siphon off profits, resources, opportunities, and benefits that rightfully belong to the Thai population. A resource-rich, educationally impoverished nation benefits foreign multinationals - and with Thaksin Shinawatra's decades of service to foreign corporate-financier interests in mind, there may be reason to believe that the "educational recession" Thailand has been experiencing since 2003, 2 years after Thaksin's political party overran wide swaths of Thailand's highly populated northeastern provinces, may be intentional. Regardless of why the current Thai government is apathetic/incompetent in regards to Thai education, it is a serious, fundamental problem from which many other socioeconomic maladies stem. If the government is incapable or refuses to rectify something of such fundamental and profound importance, it thus becomes a task that must be taken up by communities and individuals. There are several steps that need to be taken, and can be taken by anyone, even part-time, living in Thailand and interested in improving the prospects of themselves and those in their community - after all, a collectively well informed population of technically competent individuals produces benefits all of society will enjoy. 1. Study Education Systems that Work: Here in Thailand, we already know what doesn't work. But what about a system that does? Luckily for Thailand, a nearby nation in the Southeast Asian neighborhood has scored toward the top of the list - Singapore. 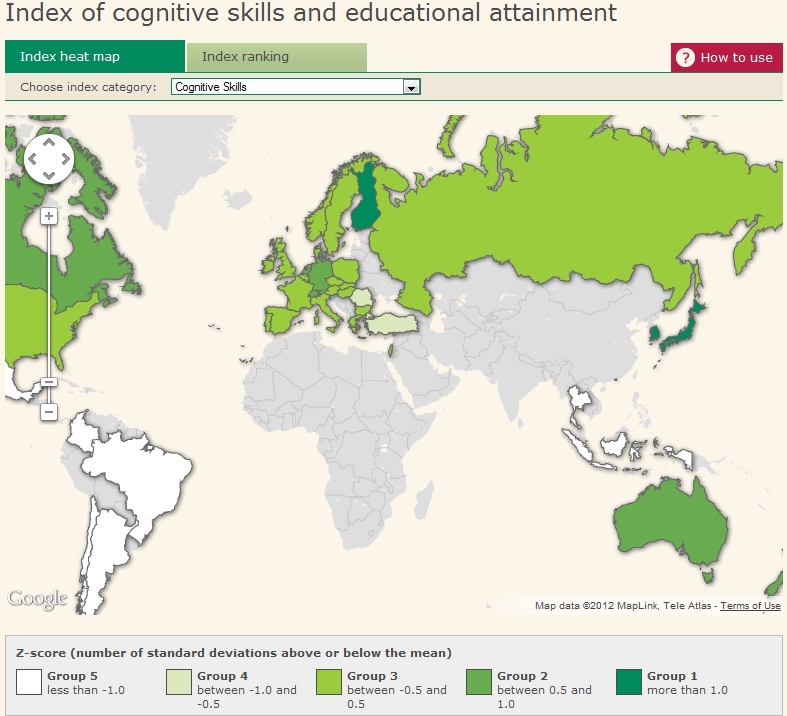 Singapore in fact scored second out of 40 nations in cognitive skills. A visit to Singapore reveals tangible manifestations of what a superior education system can produce. Well-oiled infrastructure, a booming, balanced manufacturing and service economy (despite possessing little to no natural resources), and safe, clean streets. 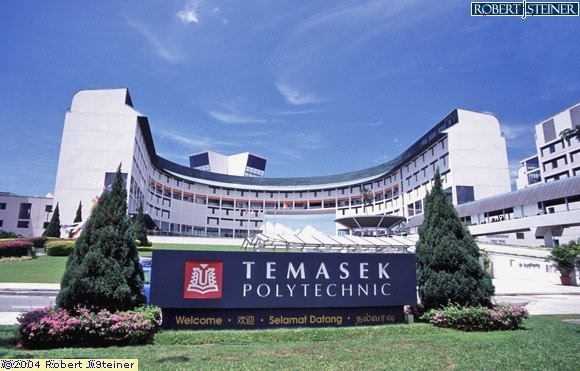 Image: Temasek Polytechnic, Tampines, Singapore. Technical education is taken seriously in Singapore, and the results are tangible everywhere you walk in the form of superior infrastructure, innovation, and socioeconomic pragmatism. Polytechnic education is taken seriously in Singapore - polytechnic schools are large, impressive, well-kept, and actively engaged in the pragmatic shaping of Singapore's future. Singapore's education system is transparent, with an abundance of resources available online for tutoring houses across Thailand to look into - if the government refuses to. Singapore's Ministry of Education (MOE) provides a full explanation of its primary school education here. Primary and secondary education syllabuses can be found here. With well structured, proven syllabuses to draw from, and the easy access of cheap textbooks of every kind in Thailand, local tutoring houses can begin providing students with a first-rate education. While local tutoring houses will lack the institutional structure Singapore's education system possesses, it is still preferable to resigning Thai students solely to inadequate state-provided education. Local individuals and communities can work together to provide affordable after-school programs to improve the prospects of students. Working within local communities through tutoring houses allows classes to be smaller, and for parents to keep closer tabs on what their children are learning and how. The more tutoring houses that are created, and the quicker they begin making a positive impact, the more difficult it will be for the government to regulate or restrict them. The aim of tutoring houses is to augment, not replace state education. Students receiving tutoring after-school will be both off the streets, and given the opportunity to pursue subjects they are weak in, or subjects they would like to progress in at a quicker pace. If the Shinawatra government wanted to spend money on education, particularly in the realm of technology - setting up an open courseware (OCW) network across Thailand would have been a more effective option. However, OCW doesn't have the same vote-swaying ring to it as "free computers." OCW is a relatively new phenomenon, but has been around long enough for educators to tap a vast wealth of resources. OCW is essentially universities opening their lectures, coursework, assignments, and other resources to the general public for free. YouTube channels for MIT, Berkeley, UC Irvine to name a few, contain complete lecture series for subjects ranging from engineering to biology, computer science to medicine and psychology. While ideally, OCW programs organized by individuals and universities in Thailand, aimed specifically at Thai students would be best, tutoring houses and other local initiatives can use existing OCW material to either use as is, or translate for Thai students to augment their studies with. Again, the idea would be to augment and enhance the existing education system, not replace it. The beauty of OCW, is that it is available anywhere an Internet connection exists, along the main roads of Bangkok, or in the far flung provinces up north. Other tools such as open source designing software, Google Earth, open source hardware platforms like the Arduino microprocessor or Lego Mindstorms can be used in small tutoring houses (and in fact already are) to begin giving interested students extracurricular opportunities to acquire useful skills that will allow them to physically shape the world around them, not merely examine it in theoretical terms. The subject of hackerspaces, makerspaces, and community labs has become increasingly mainstream across the West. These are spaces where members pay a moderate fee to use - to keep tools and equipment, and work on projects and interests relating to electronics, computers, biology, arts and crafts - all leveraging modern technology to do what once was only possible by large corporations. FabLabs are another similar initiative communities can organize and attempt to implement. Together, these "local nouveau-institutions" can serve as a nexus for a meaningful and constructive technical education, as well as a foundation for launching small local businesses and solving local problems pragmatically through collaboration. Many of these concepts are already being implemented on a limited level. For those frustrated with the education system in Thailand (or anywhere else) and the government's apathy or purposeful sabotaging of it, opening a small scale tutoring house is a relatively easy way to immediately begin doing something about it. While a single tutoring house teaching 10-20 students at a time may seem like a drop in a very large bucket to fill, communities across the country, pursuing this objective in parallel will multiply those drops into a torrent. The work itself is a challenge, but can be a payoff in many ways in and of itself. The achievement of creating a grassroots alternative education system that can immediately begin improving the prospects of individual students, and in a relatively short time, collectively begin benefiting local communities, businesses, and infrastructure, is a goal worthy of at least investigating.